Mesothelioma is a rare form of cancer in which malignant (cancerous) cells are found in the mesothelium, a protective sac that covers most of the body’s internal organs. Usually caused by exposure to asbestos*, there are five known types of mesothelioma. Four of them are malignant cancers, while the fifth is benign mesothelioma, a non-cancerous condition that accounts for less than ten percent of all mesothelioma cases worldwide. ** Although it’s been common knowledge for many years that asbestos causes a plethora of diseases, according to Michael Bowker’s book, “Fatal Deception: How Big Business is Still Killing Us with Asbestos,” there are numerous companies in the United States who’s manufacturing processes continue to utilize asbestos, including companies that make roofing shingles, floor tiles, brake pads, and insulation. James “Rhio” O’Connor was diagnosed with pleural mesothelioma in 2001. Because surgically removing his tumor was not a viable alternative, and chemotherapy wouldn’t make an appreciable difference in the quality or length of his life, Mr. O’Connor began to research alternative medical therapies and remedies. Originally given less than a year to live, Mr. O’Connor lived for almost seven years after his diagnosis, utilizing an alternative treatment plan of his own devising, and working with a number of medical professionals. 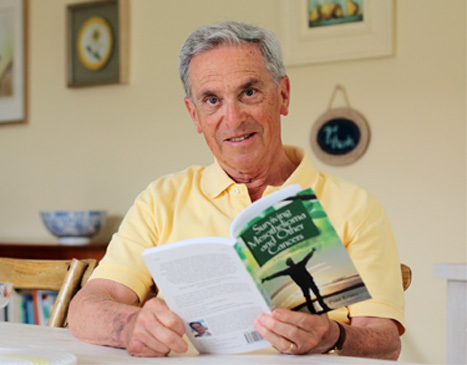 His plan included the use of supplements, completely changing his diet, participating in stress-reducing therapies (massage and meditation), and he noted in his book, “They Said Months, I Chose Years: A Mesothelioma Survivor’s Story” that a positive attitude makes all the difference. I too believe, as Mr. O’Connor did, that positive mental attitude can make all the difference in a person’s health. I’ve experienced first hand the effects of both a positive and a negative mental attitude towards illness. My mother, who was diagnosed with gastric (stomach) cancer in 1995, gave up almost as soon as she was diagnosed. 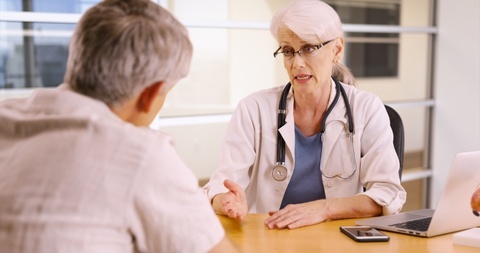 Although she listlessly agreed to chemotherapy and drug treatments, she never adhered to the diet she was given, never followed the schedule she was given for taking her medications, nor did she try to do anything positive or find any way to extend her life. The most important thing, to my mind, is that she never believed she could make a difference to her own health. She never believed she could improve her health by learning about her illness, and trying different things like diet changes or exercise, or simply thinking of herself and her illness in a positive way. She mentally threw up her hands and waited to die. And she did die, in January of 1997, a little over a year from the time she was diagnosed. She once told me soon after she’d been diagnosed that she had always known she would not outlive her mother, who died at age 63 of a heart attack. My mother died two months short of her 63rd birthday, a self-fulfilling prophecy. But she convinced me of one thing – that if you decide you’re going to die and there’s nothing you can do to help yourself, then you will die. I admire Mr. O’Connor, because the decision he made to research alternative treatments and look for a way to deal with his illness takes not only courage, but also an incredible amount of energy and determination. When one is ill and feeling weak, the last thing you want to do is haul yourself out of bed and sit at the computer, doing research. Even more abhorrent is the thought of the effort involved in getting dressed and going out to the library, struggling through a stack of books filled with information that is both technical and confusing. The fact that Mr. O’Connor obviously cherished his life enough to make an enormous effort to help himself speaks volumes. If I ever face a medical death sentence like incurable cancer, I would hope I am strong enough to follow the same path Mr. O’Connor took. The first thing I’d do is read everything concerning my illness that I could find, and search for every positive treatment or therapy that exists. There are many websites, books and articles that stress the importance of a positive attitude towards an illness, and how one can cure themselves of disease. Although I have never faced a disease as serious as incurable, untreatable cancer, I have faced a severe medical situation that called for me to act with a positive attitude and find my own way to deal with it. In 1994, I became very ill. Thinking it was simply a bad case of the flu, I treated it as such, staying home from work, sleeping, and drinking quantities of liquids. As the weeks passed, I got worse instead of better. I slept for more than twenty hours of a twenty-four hour day. My hair began to fall out in large handfuls. Although I wasn’t eating much, I gained nearly a hundred pounds in a three-month period. But what frightened me the most was losing my memory. I couldn’t remember any facts, couldn’t remember how to perform simple tasks like turning on the water in the shower. I visited my doctor’s office several times, but he didn’t think there was anything seriously wrong with me. In desperation, I began to read alternative health magazines, look at the few health-oriented websites that were available on the internet back then, and ordered books on health from the Book Mobile, trying desperately to avoid having to go out in public, where people would stare at my hair, which featured big bald sports and looked as if I’d randomly whacked away at the rest of it with a pair of gigantic scissors. From my reading and research, I began to suspect that my condition had something to do with my thyroid gland, and asked my doctor to order a thyroid function test. Sure enough, the test came back confirming the fact that my thyroid was barely functioning. I was diagnosed with Hashimoto’s Thyroiditis, an autoimmune disease that occurs when the body’s immune system attacks the very organs, cells or tissues it was designed to protect. I now take a single daily medication that I will have to take for the rest of my life, but in addition to the medication, I wanted to make sure that I strengthened my body to the point where something like Hashimoto’s could never decimate my health again. I researched diet, exercise, supplements that would build up the thyroid gland, and the underlying cause of autoimmune disease. I have long since lost the hundred pounds I gained, re-grown my hair, and sharpened my memory, simply by converting to a vegetarian diet, exercising six days a week, and using a variety of specific herbs, minerals and dietary supplements. But most importantly, I know that I can control this disease – that I am in charge of my body. I practice daily positive affirmations concerning my health, and manage the many side effects that I experience dealing with thyroid dysfunction because I know that I can find answers. The important thing for me was research. Through careful and systematic research, I found therapies, herbs, supplements, treatments and modalities that pertained to my condition. Just as Mr. O’Connor did, by working with health care professionals, I have built a treatment plan that works for me. I have never stopped reading about thyroid disease, and never stop adjusting my diet, exercise schedule and the supplements that I use. I have found that you can truly “listen” to your body telling you what it wants/needs.